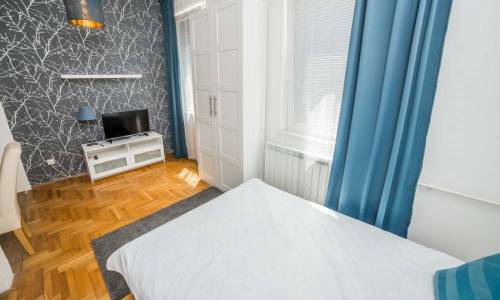 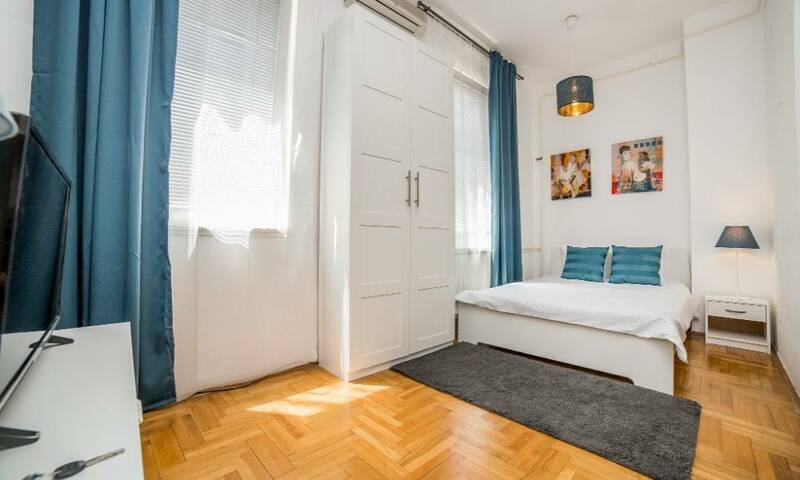 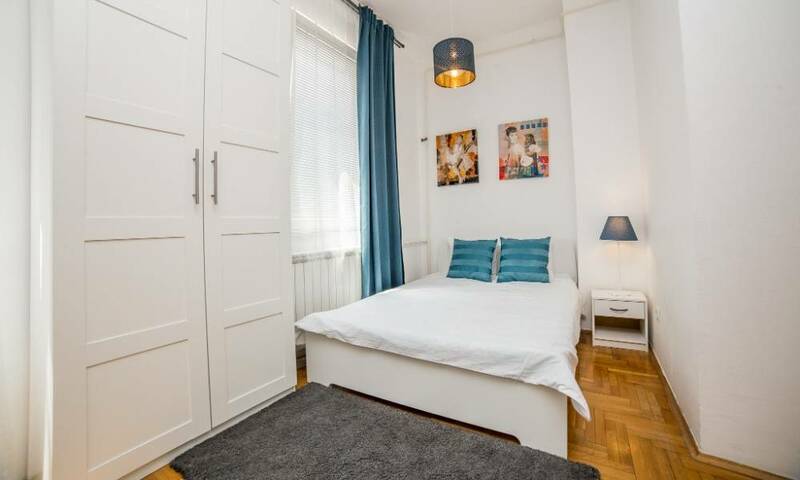 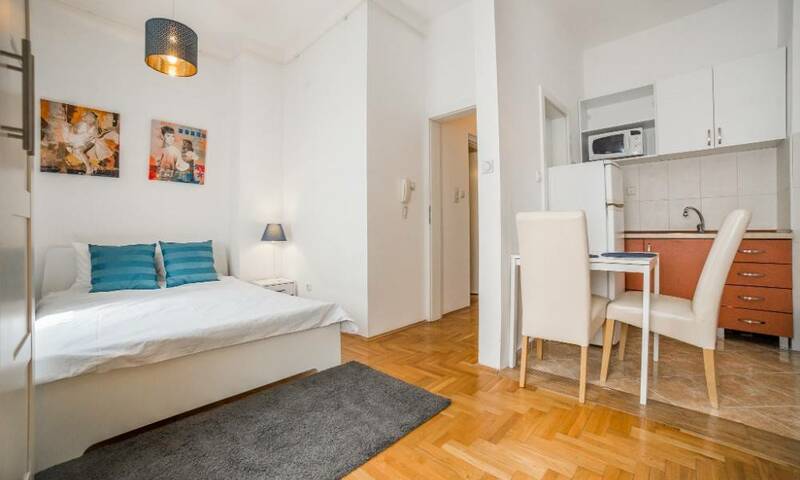 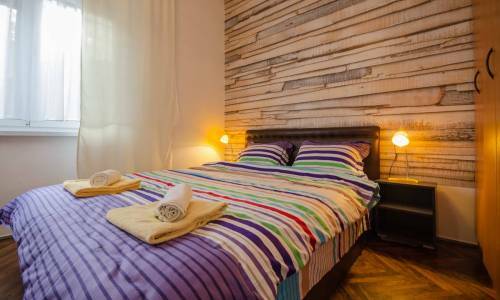 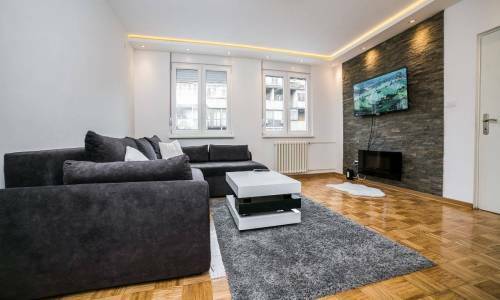 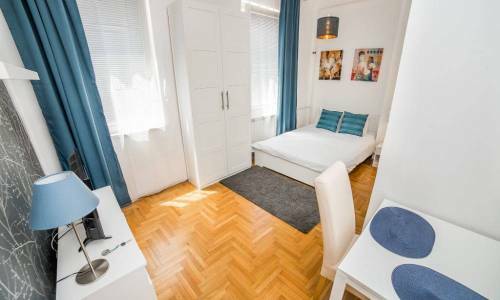 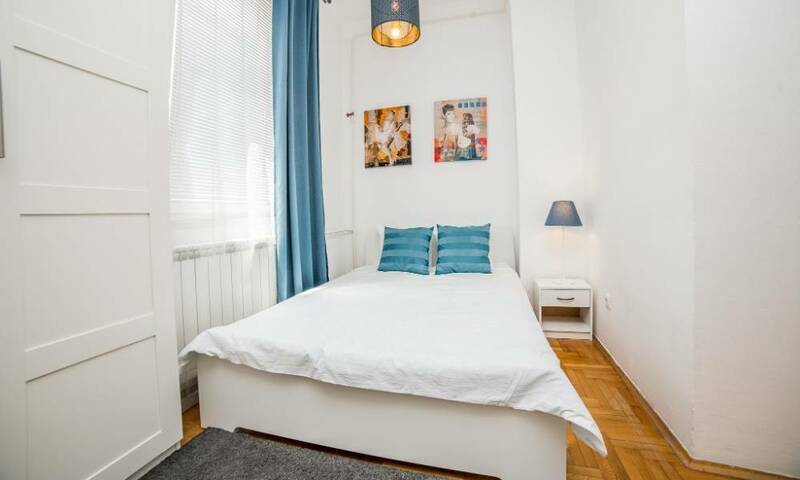 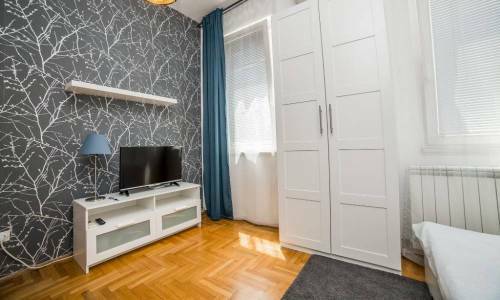 Apartment Stark is located near the Belgrade Stark Arena and is very nice accommodation for two. 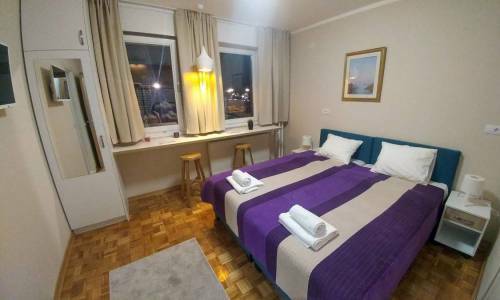 Near the apartment you can find the Hotel In, Hotel Holiday Inn, the Arena and indeed a huge number of other interesting venues. An important aspect of this accommodation is good connection with the highway and all parts of the city. This dynamic and popular part of the city lets you get to know modern Belgrade in its true sense. 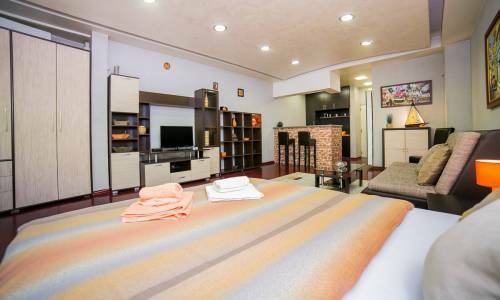 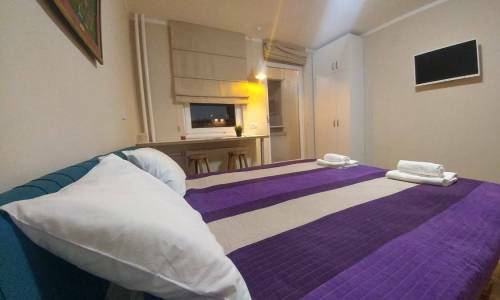 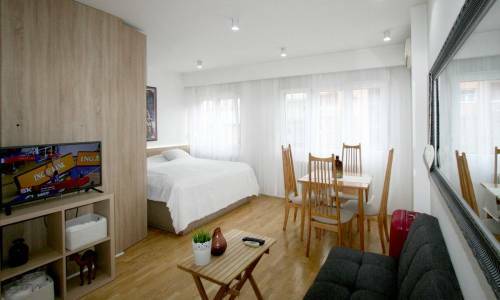 The studio is compact, with a large double bed and a TV shelf with LCD TV set. 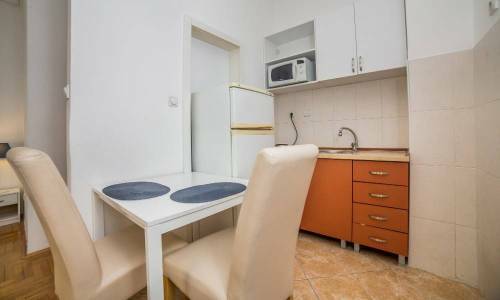 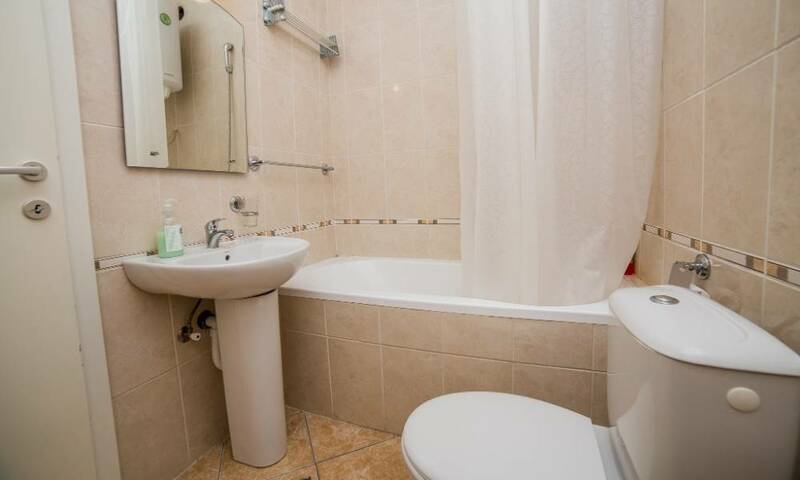 There's also a table with two chairs and the kitchen which is sufficiently equipped for preparing the light meals, and the bathroom offers a bath with standard dimension and furniture. 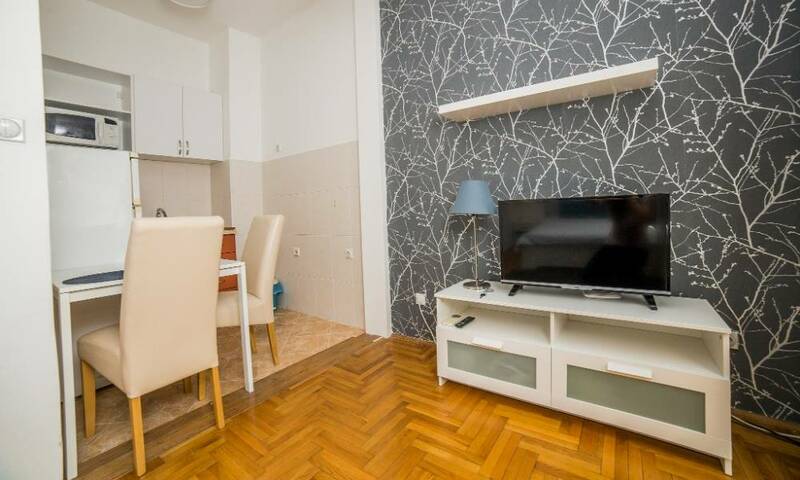 Stark is a very nice apartment for two, with an acceptable price compared to similar apartments. If you also consider the possibility of free parking, then this is really a good offer. Welcome!